The prestigious PIA dinner and presentation ceremony will take place on 21 March 2019. 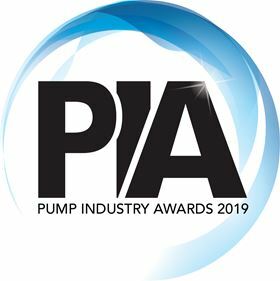 The Call for Nominations process for the Pump Industry Awards 2019, organised by the British Pump Manufacturers’ Association (BPMA), is now open and online entry forms are available until 5.00pm on 18 January 2019. For the past 18 years, the Pump Industry Awards has been recognising the best performing companies, products and people for their achievements, developments and positive contributions within the industry sector. The BPMA will again lead the way in championing those who strive for business, professional and engineering excellence, through the launch of the 2019 awards programme. Entries are sought for any company, product, application or individual within the pump industry that is worthy of recognition and reward. Nominations and entries are not restricted to BPMA members, and you can put forward entries for yourself and your own company, or you can nominate others that you know of or work with. If you want to play your part in bringing engineering excellence to the fore, visit the to make a nomination. The prestigious awards dinner and presentation ceremony will take place on 21 March 2019 at the Heythrop Park Country Resort in Oxfordshire. Located just 12 miles from Oxford, its central location ensures easy access from all over the UK for the 250+ attendees. 2018 Pump Industry Awards Finalists determined.